When a winter storm flattened several years’ worth of felling in the forests the portable sawmill was not enough by a long way. 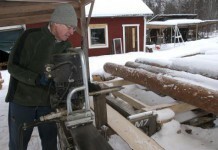 Janne Hellgren purchased a larger band sawmill and a timber kiln. This was also the start of the professionalisation of the business. Janne Hellgren worked for many years for in South Africa. 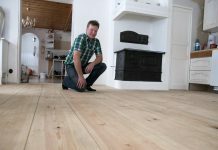 But when the opportunity arose to purchase a family farm in Sweden, the family moved back home. Janne bought a portable sawmill, carried out sawing at home on the farm and drove around with the sawmill on the roof to saw for others. 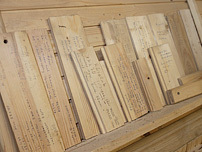 However, the major boost for Janne came in 2005, when a winter storm flattened several years’ worth of felling in the forests. 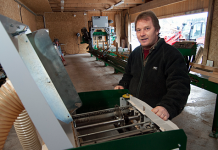 The Logosol sawmill M7 was not enough by a long way, and Janne purchased a larger band sawmill. This was also the start of the professionalisation of the business, from a sideline alongside forestry to a real company. 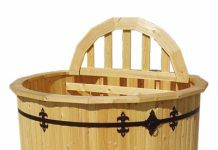 The next investment was a large timber kiln, with a carriage on rails for the timber. 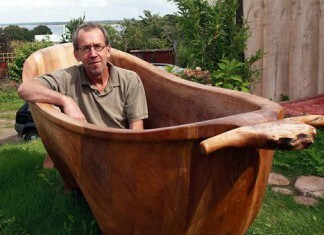 This was his own design, although it appears as though Janne took his inspiration from large-scale sawmills before he began to build. The kiln means that the business is not dependent on the weather or the season. 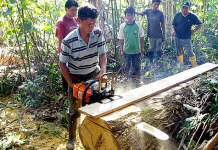 It is always possible to produce the right timber of the right quality from his own forest. 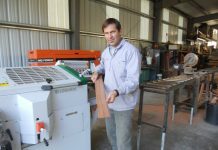 Today the company also has an employee in the shape of Kent Lindh, who is both involved in timber processing and works out in the forest, for example carrying out planting. 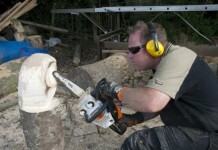 “This is the best job in the world, with freedom and a lot of fresh air,” says Kent who, unlike his employer, has grown up with a chainsaw and has spent time in the forest ever since he was small. 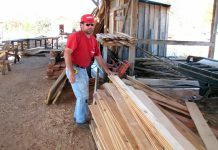 Like most professionals in the field of small-scale wood processing, the Hellgren family run a mixed farm, with other income coming from flea markets, horses and the hiring out of summer cottages. 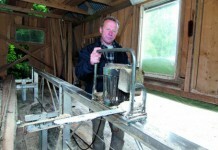 There are also a number of small buildings on the farm that are hired out all year round. “It doesn’t make us rich, but it is definitely possible to make a living if you work hard,” Janne Hellgren sums up. With the PH260 you can take sawn lumber and simply turn it into a profitable finished product. The PH260 planes and moulds 4 sides at once.